Here in Rochester, most of us know that Wegmans is the best grocery store around. Those may be tough words to swallow for some of you who swear by Trader Joe's or Tops Friendly Markets (and by goodness, we hear ya! ), but I am purely referring to the 2016 honor of being named the Best Grocery Chain in America. It's certainly hard to argue against a distinction like that. And we all know that when our friends and family come from out of town, one of the first things they want to do is "...go to Wegmans!" and we're happy to oblige thinking that we can get some our grocery shopping done at the same time. 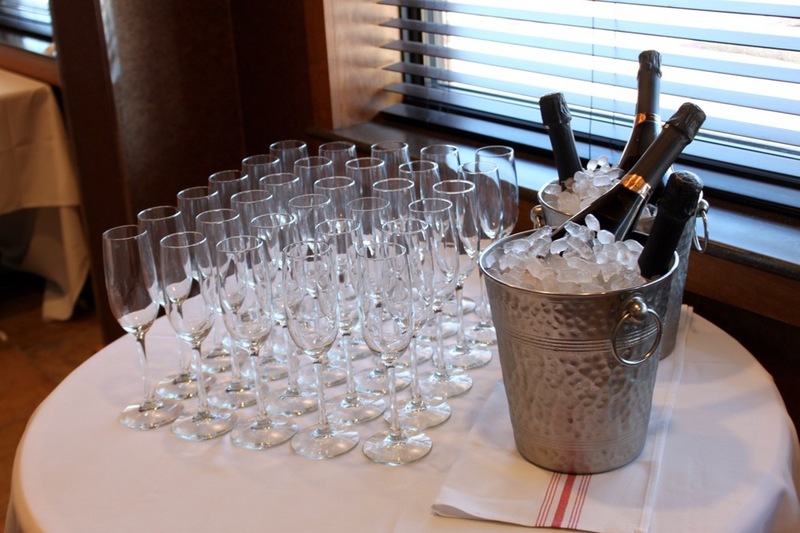 But did you know that the East Ave Wegmans, and more specifically, Amore Italian Restaurant and Wine Bar, offers classes on a range of subjects that combines eating, drinking, learning, and of course, the freshest of Wegmans' ingredients? Who knew!? Amore's EAT, DRINK & LEARN series is a well-kept secret, unintentionally, of course. The reason being is that most classes sell out in no time making it darn-near impossible to get a seat for the class. 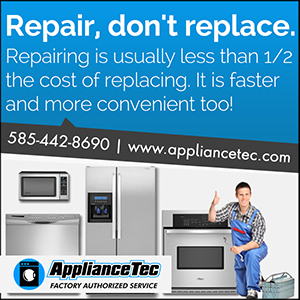 For those who do, you're in for a treat. 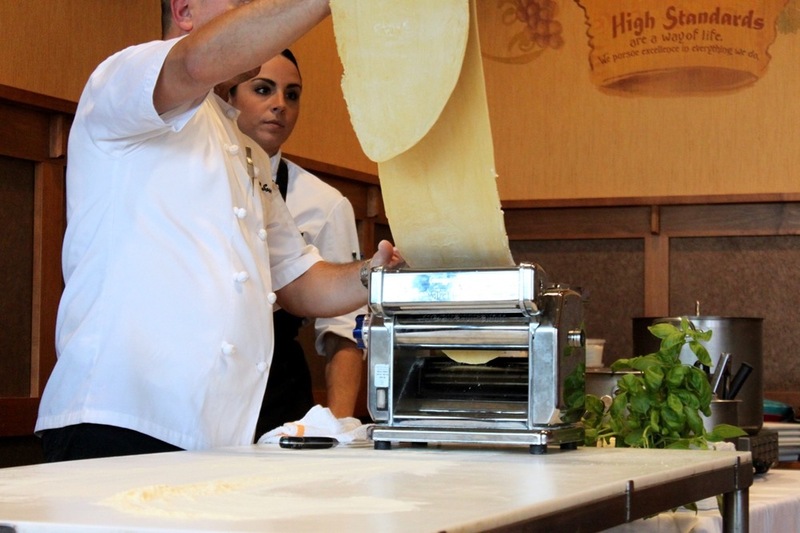 Before we let you in on this secret and the 7 Reasons why Eat, Drink & Learn is Wegmans Best Kept Secret, we'd like to thank Wegmans and the amazing team at Amore for inviting us to take part in their recent Fresh Pasta Making class and for squeezing us in. A food related class would not be, well, anything, without something to munch on. That's just how this class started off, with plenty of delicious appetizers (and a glass of sparkling rosé to wash it down). The eating, however, did not end there. With this being a pasta class we were happy to enjoy some delicious dishes made right in the class by our teacher, Head Chef at Amore, Chef Pasquale Sorrentino. 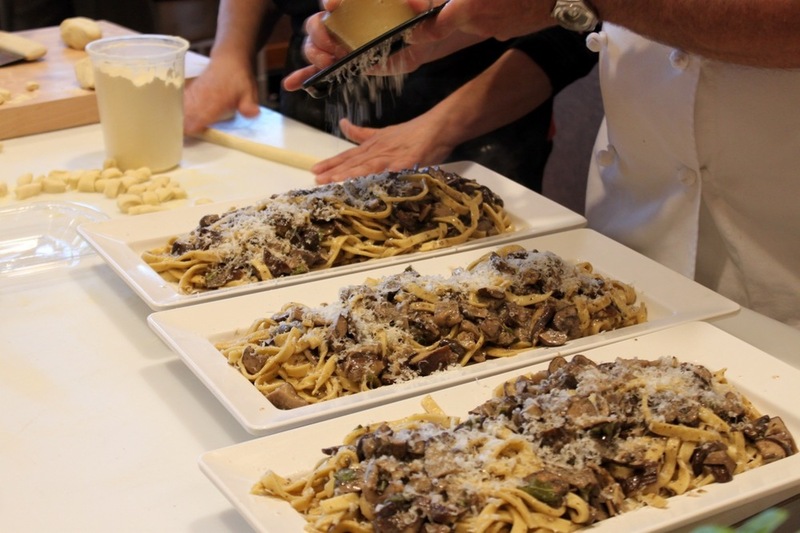 Not only was this a pasta making class, but also a pasta and wine pairings tasting. Each entree made in the class was paired up with a red or a white wine. Amore Restaurant Manager Michael Posella shared a bit of his knowledge and experiences from the restaurant, and what made a good pairing to the Italian cuisine while the dishes were being prepared. Naturally, if you're taking a class, you hope to walk away having learned something. We can tell you that's just what will happen here. We learned how temperature and humidity can affect your pasta, what it should look like and feel like as you're making it through its various stages, and how just how truly rewarding it is to make your own pasta by hand. One of the best things about these classes is that Amore makes a point to keep the ingredients simple and accessible, meaning that all ingredients can be found in Wegmans stores so you don't need to be a head chef to find them. While participants watch and take good class notes, of course, there were plenty of opportunities for volunteers to step up and put the apron on themselves. Chef Pasquale and Team encourage as much participation from the class as possible. All the fresh pasta and gnocchi made in the class was divided up for attendees to take home. We had enough to make dinner (and have leftovers) the next night. Class sizes are relatively small, anywhere between 15-30 people, and unlike high school, your classmates all chose to be there. That means that you all share a love for food, for learning, and for good drink. If you can't get a conversation with a stranger started about any of those things, then get out of the kitchen. No, really, get out of the kitchen. 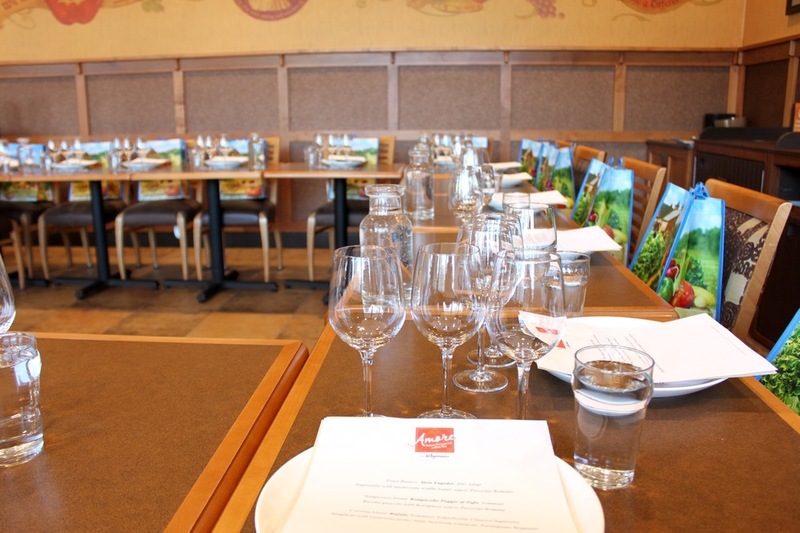 The class may not have taken place in the restaurant (only steps away in the East Ave Wegmans' conference room), but it was certainly hosted and taught by Amore's Head Chef, Pasquale Sorrentino. Chef Pasquale was born in Italy and lived there until 2003 when he moved here to marry his wife (a Webster native). Prior to Amore, he'd been a chef at both 2 Vine and Branca. Now back to Amore, consider it a restaurant that just so happens to share a parking lot and entrance with a grocery store. Did you know the pasta served in the restaurant is made fresh right in the kitchen? It is! Though, we are assuming that the gluten free pasta served is their Wegmans brand Gluten Free pasta, which we've heard is quite delicious too. Just like the website says "Check back frequently for updates...." these classes fill so quickly you'll want to stay ahead of the game and make sure to reserve your spot once the classes are announced - do not hesitate! You may even want to sign up for Wegmans Fresh News email to stay in-the-know. Amore has also just launched a new summer menu so go check it out! Stefanie is co-Founder of the Rochesteriat. She loves to learn and is excited to see what Amore comes up with in the future... a pizza class? Join the conversation on Facebook, Instagram, and Twitter.